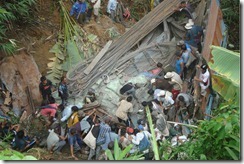 Aizawl, Mar 7 : A report released by the Ministry of Road Transport and Research Wing of the Union Government said. In the annual report, the ministry had also observed that Mizoram has the highest accident severity after Mizoram as the number of deaths in accidents witnessed an upward trend since 2008 when the number of road accidents was 62.7 per cent. Vehicular accidents are said to on the rise during the past two years with 345 deaths during 21 months. According to Aizawl SP (crime) records, the period from April 2011 to December 2012 witnessed 509 road mishaps in which 345 people were killed and 991 others were injured. The past two years saw disturbing rise in auto accidents compared to the previous years. In 2008-2009, there were 106 motor accidents in which 56 people died. The number of road accidents and that of human casualties rose to 116 and 78 respectively in 2009-2010. It further increased to 100 accidents and 88 deaths in 2010-2011, the records highlighted.